Product prices and availability are accurate as of 2019-04-20 03:16:28 EDT and are subject to change. Any price and availability information displayed on http://www.amazon.com/ at the time of purchase will apply to the purchase of this product. 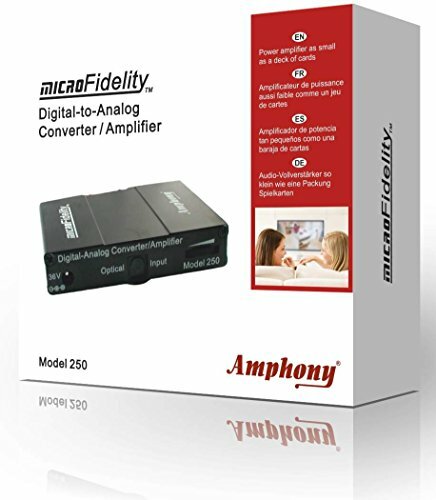 Connect your speakers directly to your plasma/LED TV with this integrated digital-to-analog audio converter and power amplifier. The amplifier connects via SPDIF cable directly to any optical audio output. 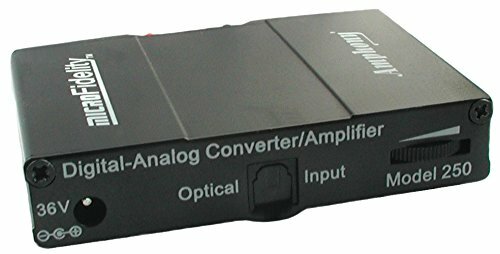 This amplifier combines a digital-to-analog converter with a high-grade power amplifier inside a tiny package no larger than a deck of cards. 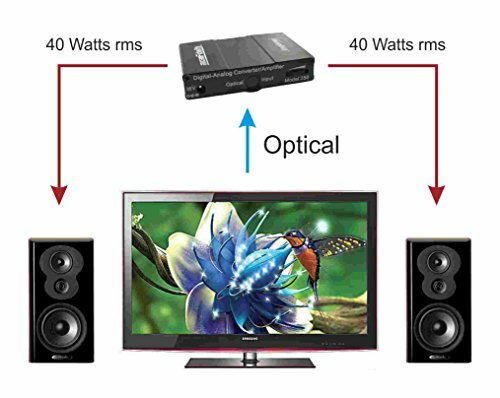 Its aluminium chassis itself provides enough cooling. No built-in fans or additional cooling are necessary.